Wow it looks like people were kinda chilly in the picture from '10 - I guess I better bring a jacket, it's usually HOT here in Denver over Labor Day. "Billy Dec is the CEO and Founder of Rockit Ranch Productions, a restaurant and entertainment development company in Chicago that owns and operates Rockit Bar & Grill, Sunda Restaurant and The Underground. He also appears as a regular contributor to Windy City Live, a program airing on WLS-TV in Chicago." Stay tuned this weekend to see how you can get to see our headline bands from side-stage! Yes, that includes Haley Reinhart! 8:00?? I thought it was 9!! It is 9. That is a flyer from the High School. They get a flunking grade or maybe they're just saying get there an hour early or you be stuck n the opposite endzone behind the goal posts. But don't count on the band ever leaving the stage. But again...the reason Angela is mentioned in that flyer is because it's from the High School where Angie just graduated as I'm sure Patti & Angie will be backup vocalists and maybe just a duet or two with Patti & Harry. (08-29-2013, 07:51 PM)Himm2 Wrote: It is 9. That is a flyer from the High School. They get a flunking grade or maybe they're just saying get there an hour early or you be stuck n the opposite endzone behind the goal posts. Maybe I'm misinterpreting Tusk, but I think that there might be a bit of wistfulness regarding the possibility of Angie singing. And while you're probably correct Himm, we know that Haley, like Casey, is willing to let the spotlight shine on someone else, particularly if it's a family member. On the other hand, 20 songs really isn't that many, Tusk. 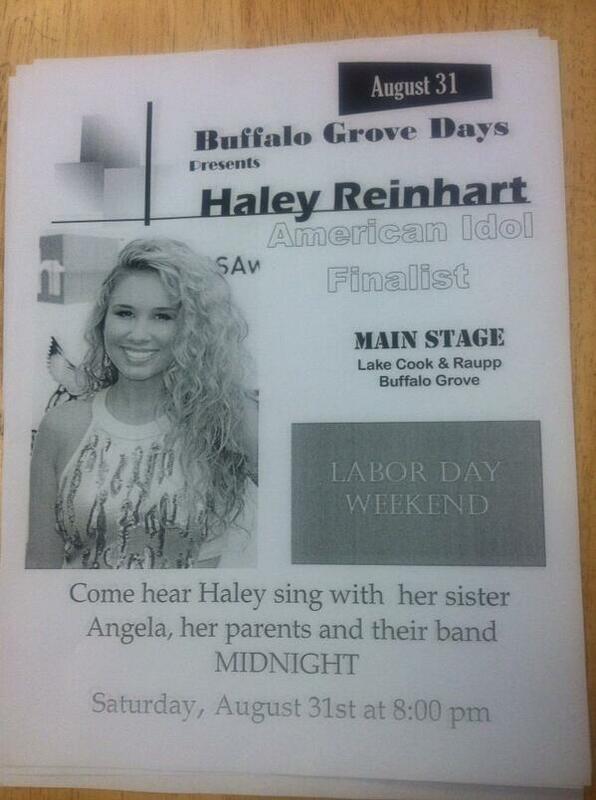 Maybe Angie will be singing from 8 to 9 . The Rumble Tone Blues Band is playing from 7:30 to 8:30pm. 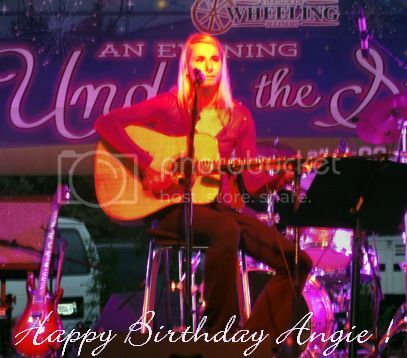 I don't think Angie will be playing any of her songs. This is Haley's time to shine. I think Angie is a backup singer, like she was at Lolla. And she and her Mom sound very good together as backup vocalists. You'll see Miguel.